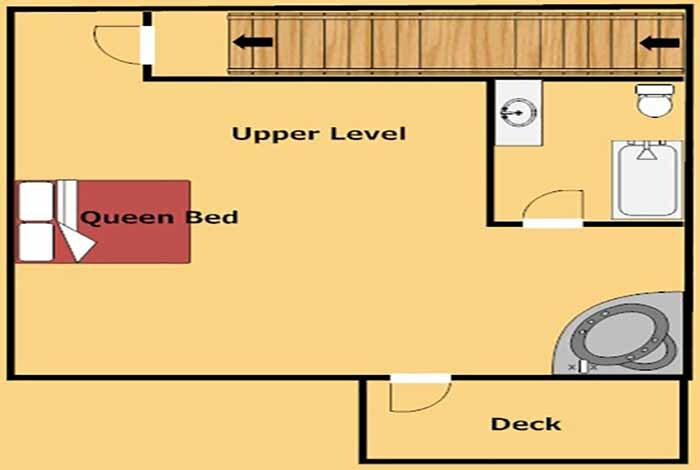 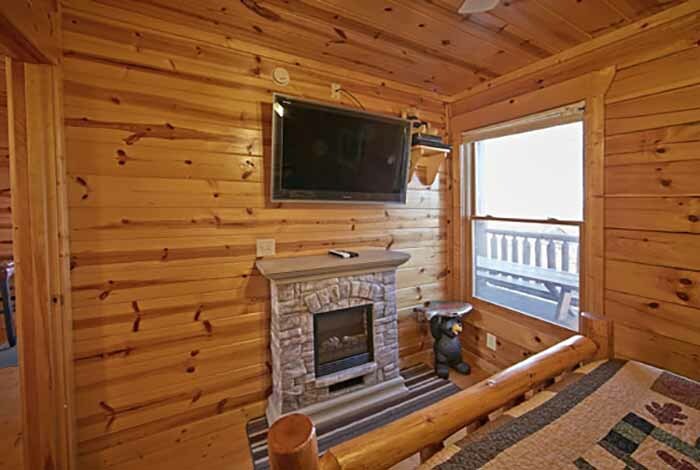 Lets get away to a luxurious cabin in the mountains at Grin n' Bear It. 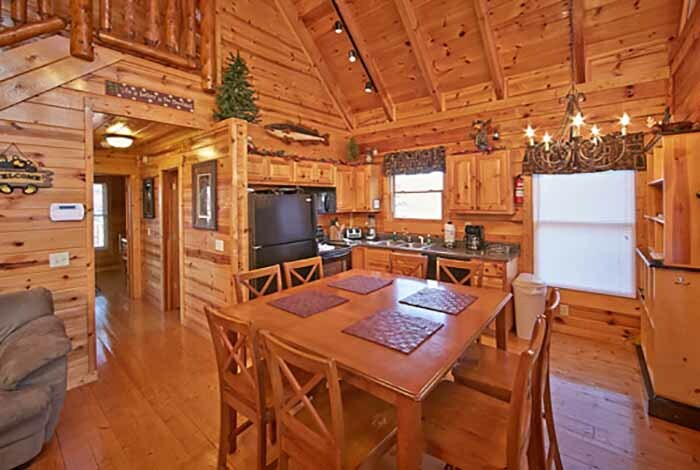 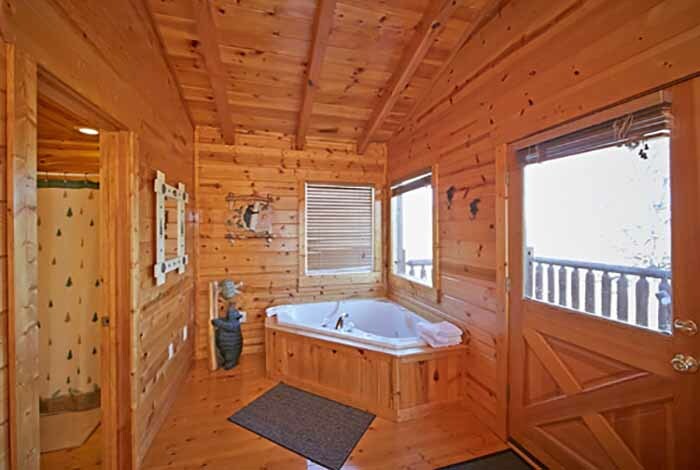 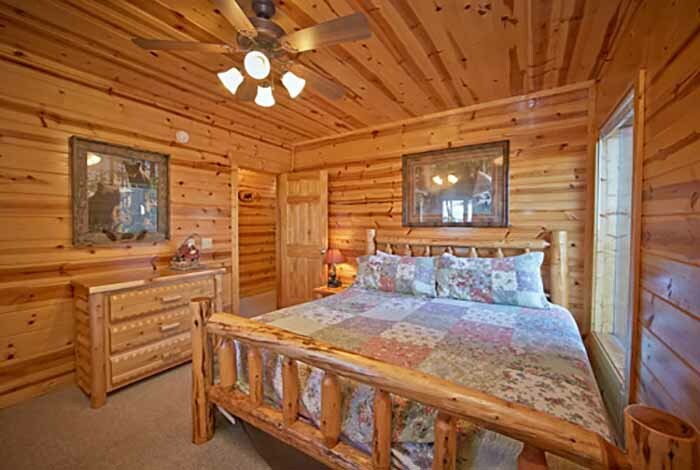 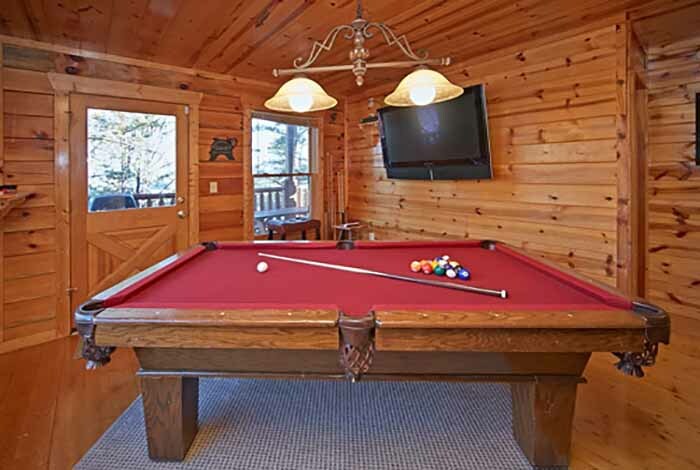 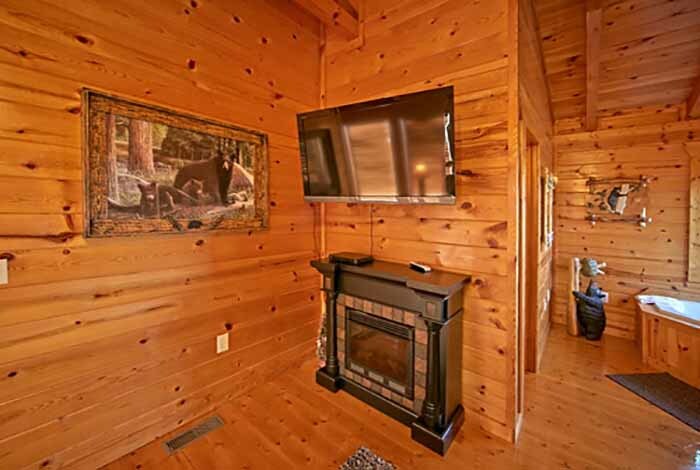 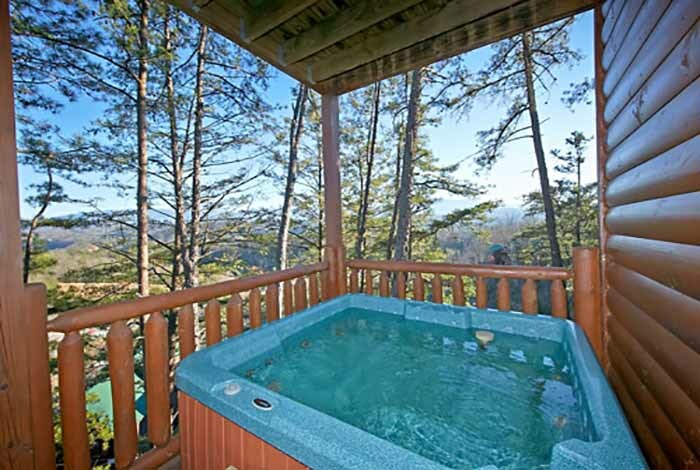 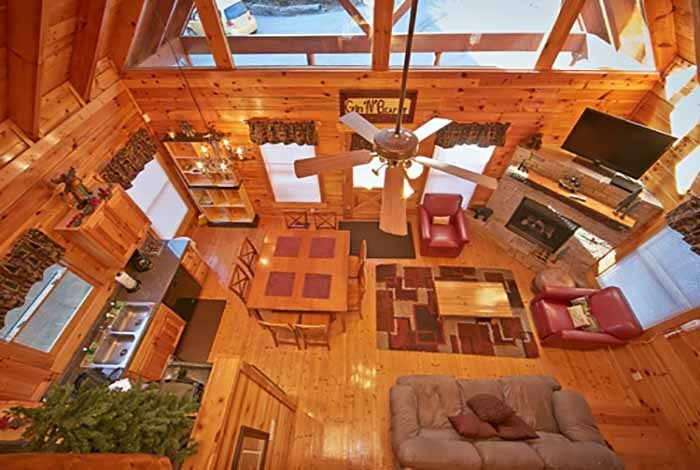 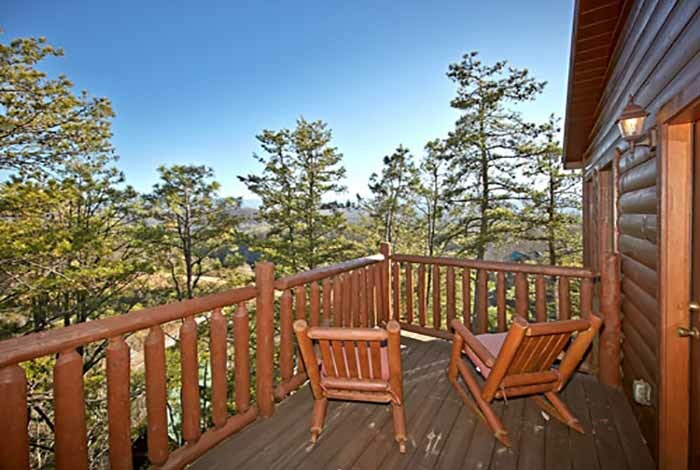 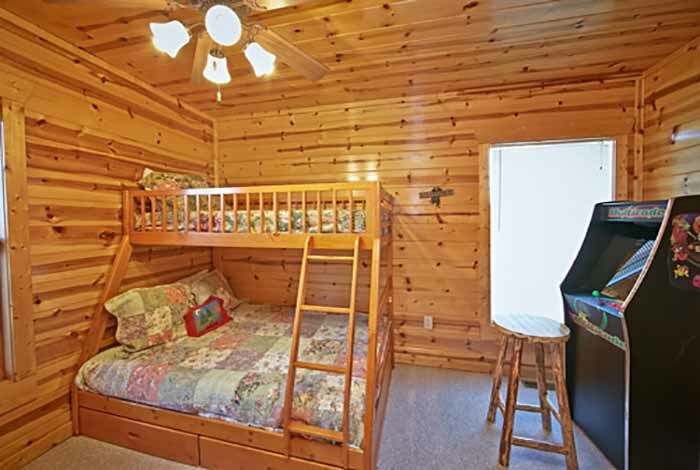 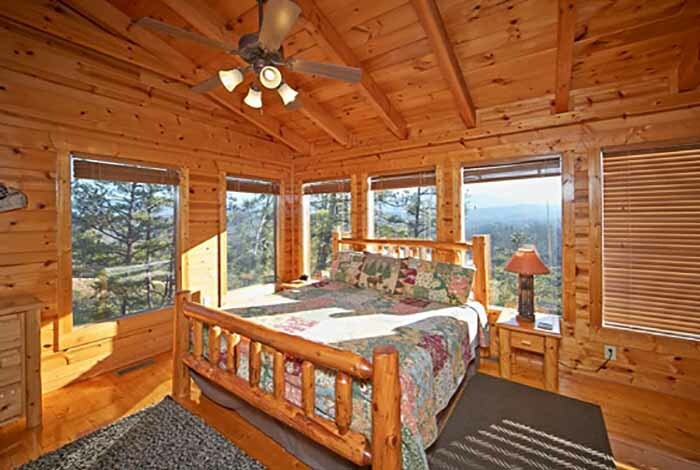 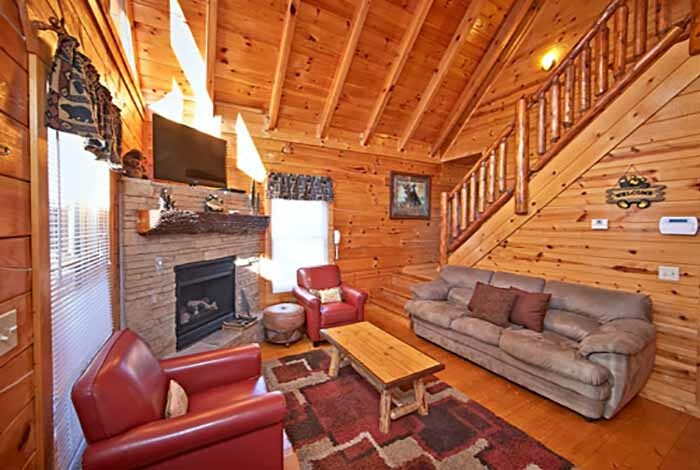 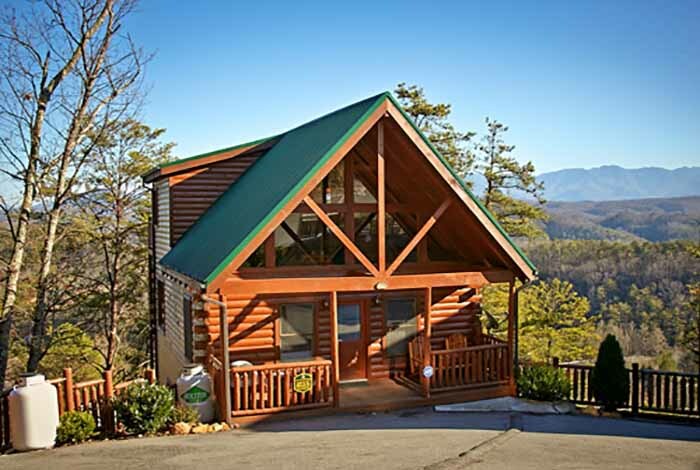 This 4 bedroom Pigeon Forge cabin rental is perfectly place at the edge of wilderness and humanity. 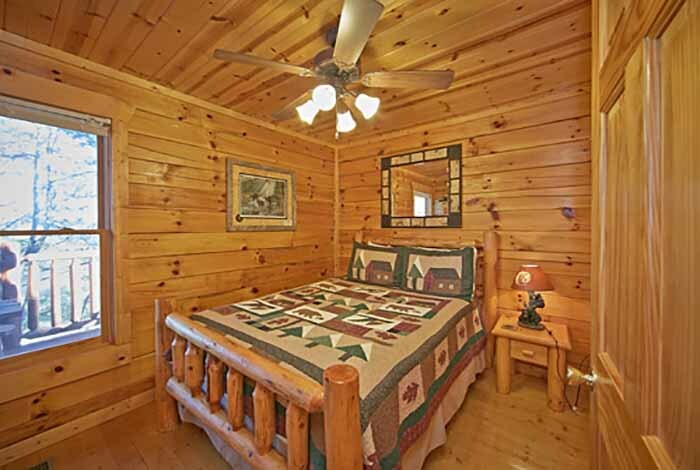 Only a short drive to all the area attractions such as Dollywood, Wonderworks, and Dixie Stampede. 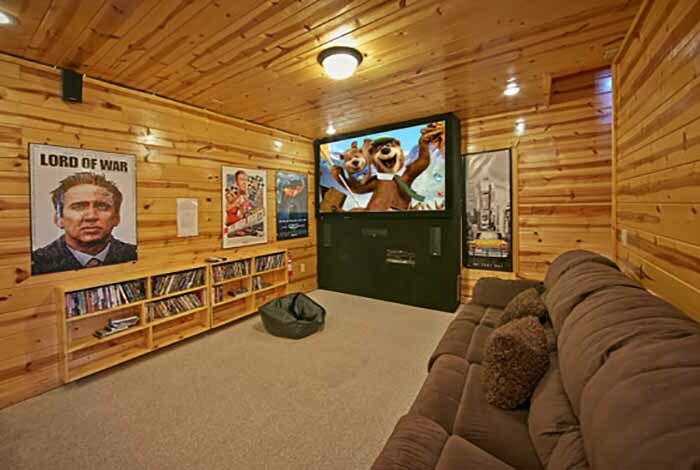 Maybe you want to stay in. 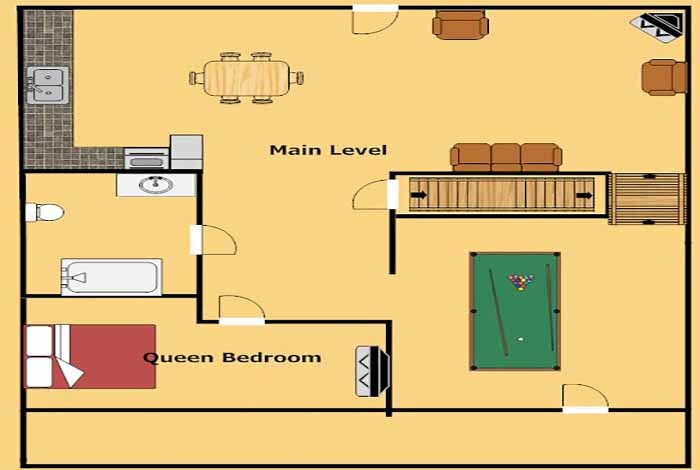 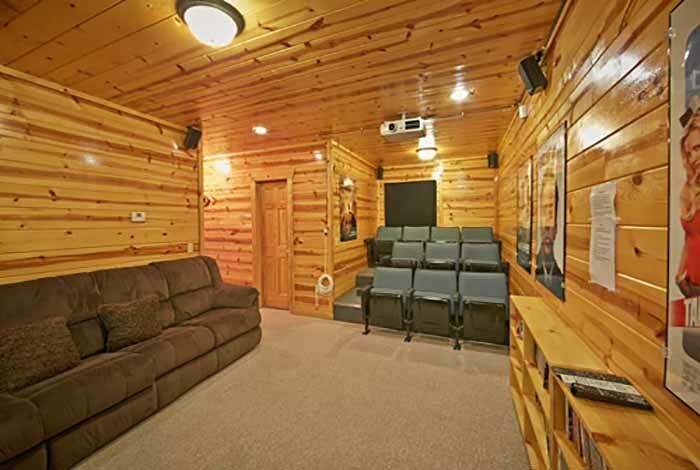 This cabin is has a a home theater with endless movie selection as well and arcade and table games. 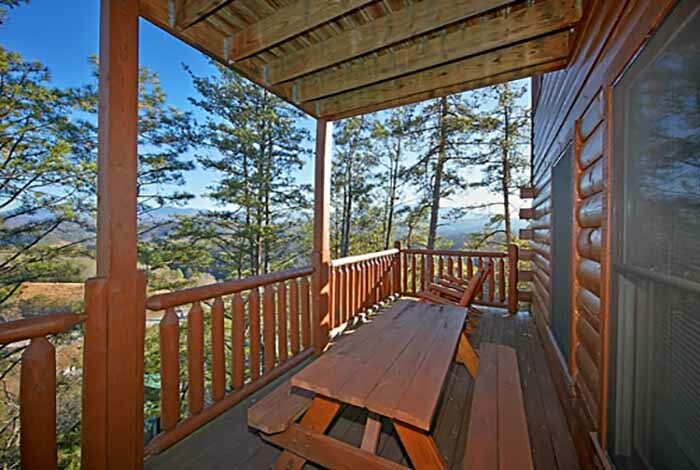 Not to mention the reason you are where you are, the view of the Great Smoky Mountains. 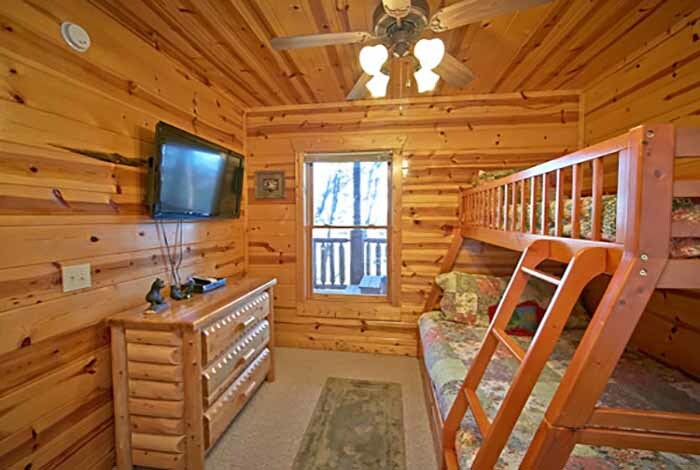 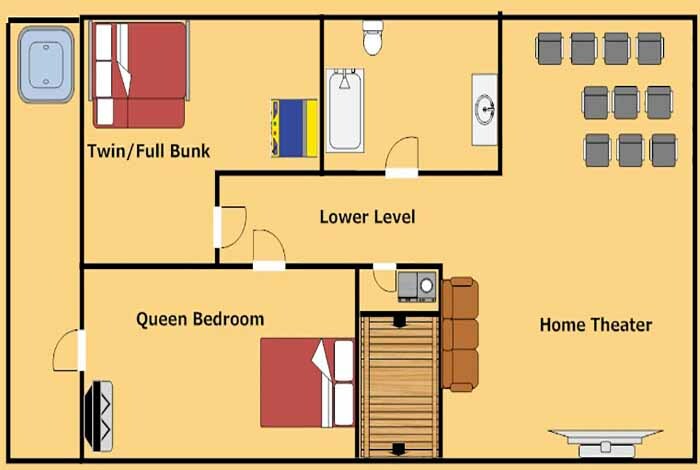 So look no further than Grin n' Bear It because this is the cabin to be in on your next vacation.